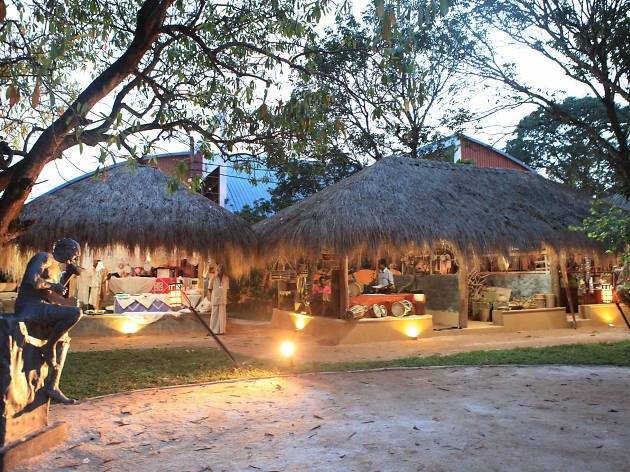 Recreating the lifestyle of rural Sri Lanka. 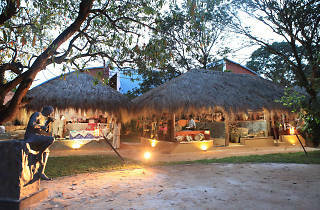 At Ape Gama, the outstanding recreation of life in a Sri Lankan village has been achieved with precision. 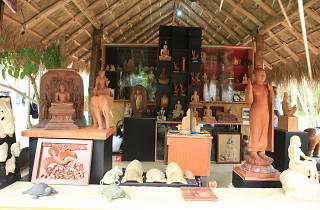 And it is not too far from Colombo, situated at the Jana Kala Kendraya in Battaramulla. 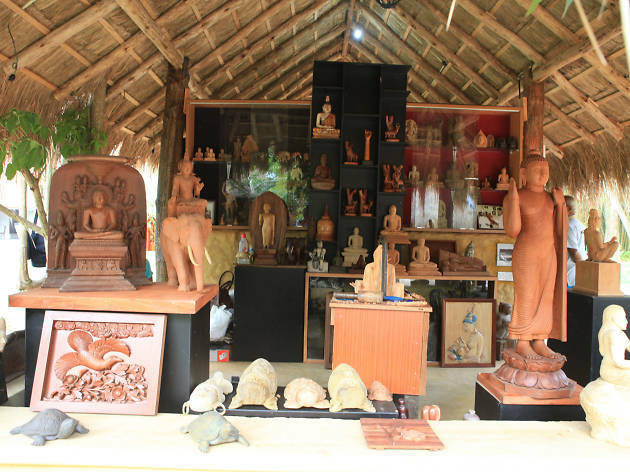 From the well kept garden to the many houses made of mud enclosed with wattles, to the figurines of men and women in many postures, the concept has been brought to fruition with much meticulousness. The simplicity and plainness that typifies village living is showcased in all the exhibits. The houses represent the abodes of people of importance in the village, such as the village Headman, the blacksmith, the weaver, the potter, the medicine man, and the drummer. It offers a journey back in time as each dwelling has a scattering of implements that had been used by these different occupants.